Set up by a team of cycling enthusiasts, all of whom have lost a family member or a friend to cancer, Bike 4 Cancer is a provider of days out and short-breaks for British families affected by cancer. We also make grants to UK based care institutions and support research into the positive effects of exercise (e.g. cycling) and how it can help with cancer prevention and recovery. 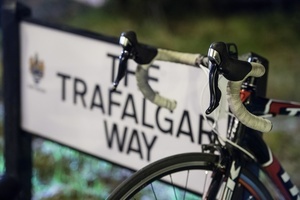 Ride the Trafalgar Way has been divided into Three parts or 'series'. Consequently, you can take part in the 100 Series and 200 Series which are both A-B routes and also the 300 Series. You can even ride the full Trafalgar Way route which is a 24 hour challenge! This one is not for the faint hearted! Victory - Sunday 7 July is a solo night ride which is just over 90 miles in length and with an elevation gain of 1,231m. The ride starts in Salisbury and then you will ride through Andover, Overton, Basingstoke, Hook, Hartley Wintney, Camberley, Bagshot, Egham, Sunningdale, Hounslow, Chiswick, Hammersmith and Knightsbridge before finishing in Westminster. Defiance - Saturday 6 July is a solo endurance ride covering approximately 220 miles, riding on open roads and will also ride at night. 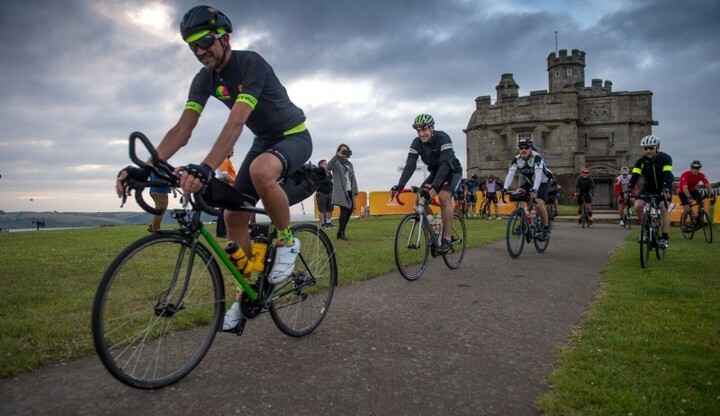 Thunderer - Saturday 6 July At just over 200 miles long, starting in Exeter the ride includes the Jurassic coastline (a World Heritage Site), past the Hardy Monument and then the cathedral city of Salisbury. From here the ride heads towards and into the City of Westminster finishing with a ride along Whitehall to the Admiralty. 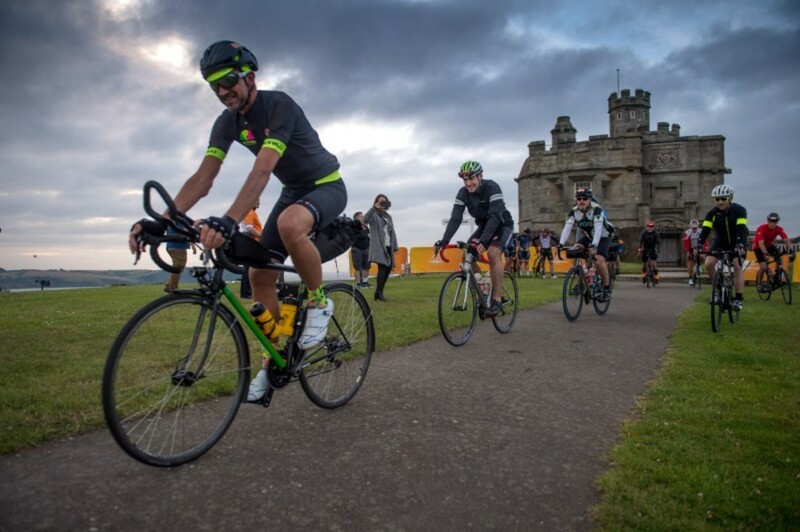 Colossus - Solo - Saturday 6 July Solo Colossus is a 24 hour individual challenge starting at Pendennis Castle, Falmouth and finishing in London. The ride is just over 500km, 312.10 miles long - a historic route, re-designed for the modern rider. Colossus - Team - Saturday 6 July This is perfect for a team building challenge or a group of friends wanting to take on a long distance ride. It's the UK's longest 24 hour sportive and is a ride just over 500km and 312.10 miles long. It's a 24 hour challenge finishing at Admiralty House on Whitehall in the early hours. The costs for each of the rides can be found here If you take up one of the events fundraising packages then you will pay a standard price with a reduced entry fee plus there is a minimum fundraising requirement. Don't miss out and book your place by clicking on the link below. You must be over 18 to take part. If you have any questions, get in touch using the form below. Thank you!